Chinese takeaways and ready meals should carry health warning labels on their packaging and menus for high salt content, according to health campaign group Action on Salt. A survey published on March 13th by Action on Salt found Chinese takeaway dishes contain just as much salt as five McDonalds’s Big Macs, with many more having more than half an adult’s entire daily allowance. The warnings would highlight their detrimental salt levels for people to understand the dangers of eating a high salt diet. The Food Safety Authority of Ireland states the average daily salt intake in Ireland is approximately 10g for adults. However, the recommended limit of adult salt intake is 6g a day – around one teaspoon. Students, in particular, are notorious for ordering takeaways on a regular basis, with many students aware of the high levels of sodium but choosing to ignore the dangers of a high salt diet. 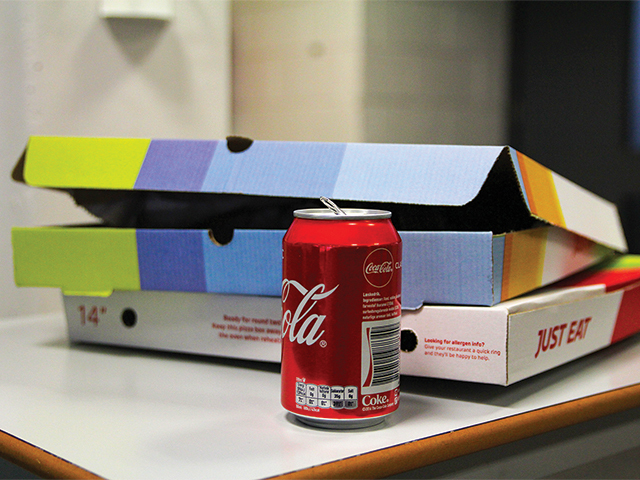 Students eating takeaways and ready meals on a weekly basis will find themselves dealing with the serious associated health risks further down the line, according to health experts. “Apps like JustEat make it so easy to get these takeaways, all you have to do is click a button on your phone and the food arrives at your door 20 minutes later,” said DCU student Ian Mangan. “I think students just get takeaways for handiness, we know what’s in them and how bad they are for you, but we get them anyway…I feel like it would work out costing the same amount to go to Tesco and get the ingredients to make a curry than to just order a takeaway,” he added. Health experts have been calling for mandatory front-of-pack labelling on high-salt dishes. Using too much salt was estimated to contribute to 1.6 million heart disease-related deaths around the world in 2010, research suggests. Although the NHS criticised the research methods used, they advised adults to eat no more than six grams of salt per day.